Usually, when people say they come from somewhere, they have a particular town in mind – somewhere they think of as home, whose very name evokes nostalgia. For me, this special place is Ipoh. Whenever I hear Ipoh (i:pou) mentioned, I feel a familiar tug in my heart. Ipoh is my family’s hometown. It’s the place I spend most time in when I visit Malaysia. It also happens to feature heavily in my novel – most of my story unfolds in this often overlooked town. 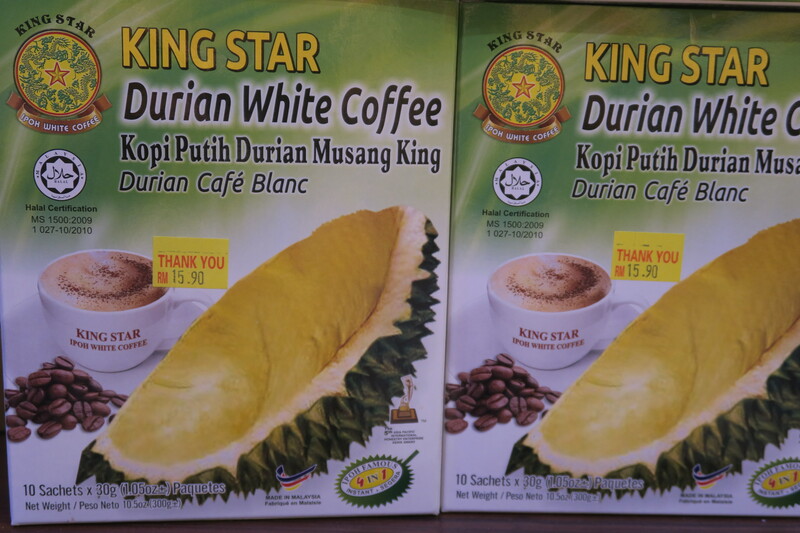 Ipoh is famous for many things. 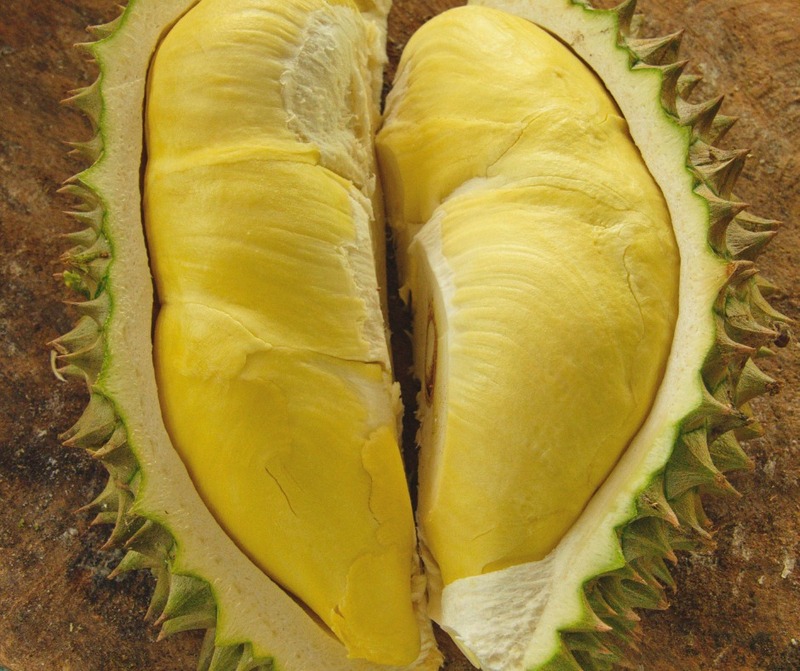 In this blog-post, I want to share personal reminiscences of the three Ipoh things that are dearest to my heart: its wondrous limestone hills, the Chinese temples that have been built into caves, and last but not least, one of Ipoh’s best-known dishes. I don’t know how old I was when I saw the limestone hills for the first time. Like the main character in my novel, I have loved these hills from the very first. They surround the town, many covered in trees, thickly, so that they look like furry animals you want to hug. As you get closer, you can see exposed rock faces that glint pink and white in the sun. Some of the trees have grown in strange formations along rock crevices; I remember from childhood a hill which looked like the face of a man, two curves of green drooping like eyebrows and another one beneath that resembled a moustache. The lovely photograph above was taken by Boon Low, an Ipoh boy now living in Edinburgh, whose work I discovered while researching for this post. 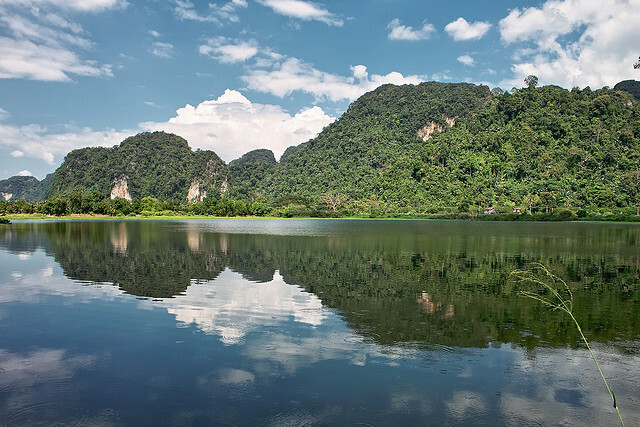 Not only are Ipoh’s hills beautiful to look at, but you can actually go right inside, into their belly! 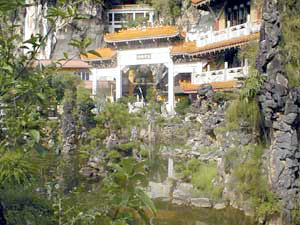 There are stretches of limestone rock into which Chinese temples have been built, visible from the main road. I was taken to one when still a small child – to the world-renowned SamPoh Tong Temple which penetrates deep inside a cave. The visit to Sam Poh Tong was my first cave trip, so you can imagine how exciting it seemed. I remember the darkness. The air was cool and damp and musty. My mother had to hold my hand because we climbed many steps that were wet with water. We went higher and higher, up towards what looked like the ceiling of a monstrous room. There were monks dressed in saffron-coloured robes walking about, wearing simple sandals on their feet and with their heads completely shaven. The smell of incense just added to the mysteriousness of the place. I know I was wide-eyed, especially when a clearing suddenly opened up and I saw turtles frolicking in a pond. My parents bought a handful of kangkong (water convolvulus) which the creatures gobbled happily. In the distance I heard an unusual chorus of voices – monks chanting, I was told. When the main character in my novel has occasion to visit a temple inside Ipoh’s limestone caves, I re-visited these caves many times. But I also called upon childhood memories and my imagination – a must, seeing that the fictional visit took place around 1914. Another thing Ipoh is famous for is tin. 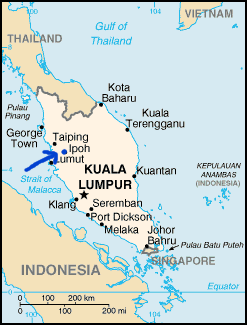 In fact, this metal is what put Ipoh on the map, for until tin began to be mined on a large scale, Ipoh was just a small fishing village. With the discovery of rich tin deposits in the Kinta Valley where Ipoh is situated, the village came to life. People flooded in to seek their fortunes, and it was exactly then, in 1900, that the main character in my novel arrives with her husband. In retrospect we know that Ipoh grew voraciously and many of the Chinese coolies who arrived to do the back-breaking, dangerous work in the mines became millionaires. But in 1900, the future of the town was far from clear. As a result, the story of the Wong family in my novel is very much intertwined with Ipoh’s own story as a town (although I hasten to add that what I’ve written is fiction, not history). Many local landmarks have been woven into my story, which I hope will make it of interest to the people of Ipoh (known locally as Ipohites). For example, the main character’s sons eventually attend the Anglo Chinese School, and this school, together with its founder and then Principal Reverend Horley, play important roles in the family’s lives. So far, I haven’t mentioned food, and I couldn’t possibly write a whole blog-post about Ipoh without talking about food. 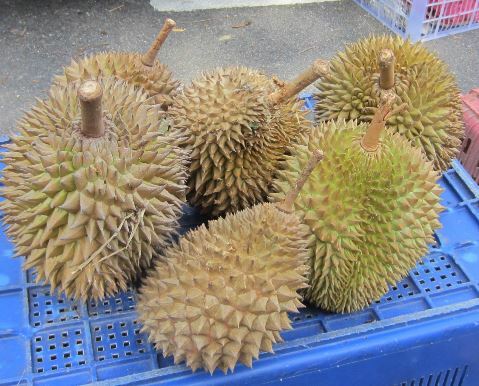 Whenever I’m there, the whole town seems obsessed with eating (or perhaps it’s just my family, who will fight traffic from one end of Ipoh to the other for ‘tastier’ Chinese steamed buns or ‘more fragrant’ durians). With Chinese New Year coming up, this really could set me off, so I’d better be careful. 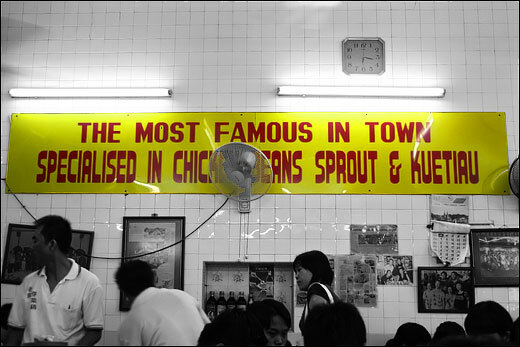 I’ll just tell you what I most like to eat when I’m in Ipoh: ‘bean-sprouts chicken’. This dish really is as simple as it sounds, so you’ll think I’m crazy unless you’ve tried it. 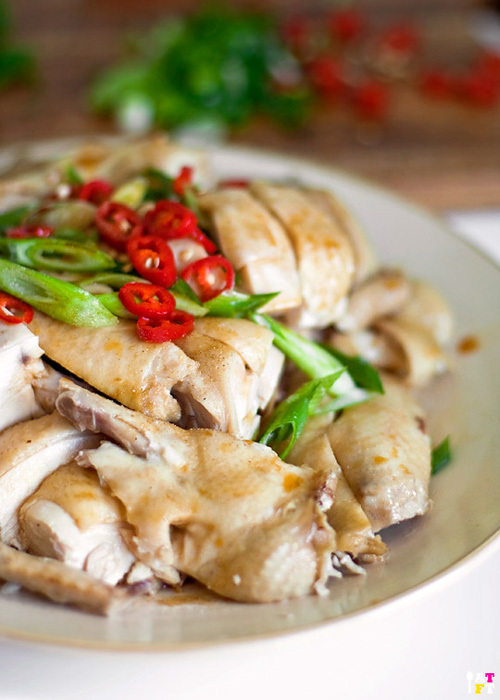 It comprises a plate of steamed chicken, chopped into bite-sized pieces and lightly seasoned with sesame oil and soya sauce, together with a separate plate of bean-sprouts, also seasoned and similarly garnished with sliced chillies. What, you may ask, could possibly be so exciting about steamed chicken and boiled bean-sprouts? 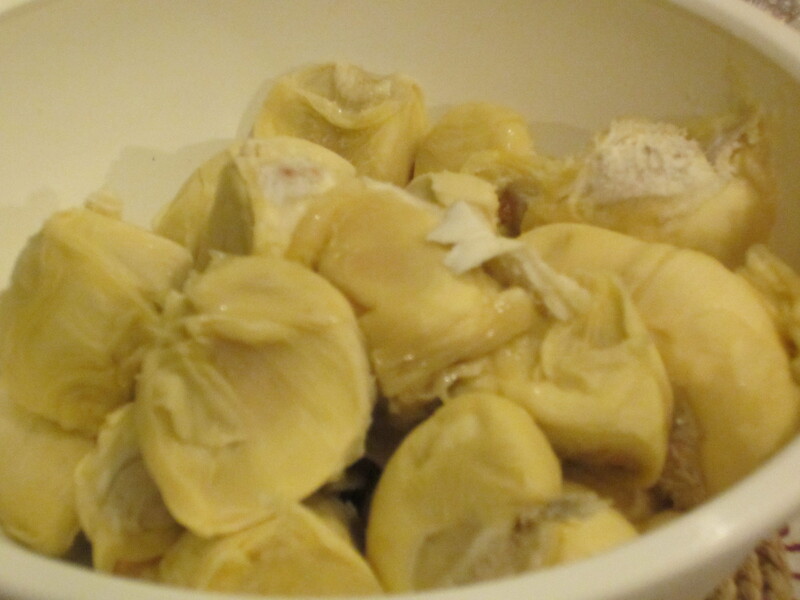 Well, with Chinese food, it’s often the mix of texture and taste that we look for. And with bean-sprouts chicken, it’s important that neither chicken nor bean-sprouts is over-cooked. When done just right, the chicken simply slips along your tongue, releasing delicious flavours as it does so; if accompanied by a chopstick-full of crunchy bean-sprouts, the effect is hard to beat. Both chicken and bean-sprouts can be eaten on their own or gulped down with Ipoh’s very own rice noodles (‘hor fun’ or ‘kuay-teow’). 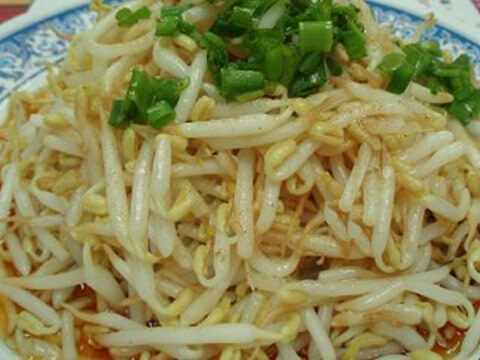 Now, during my seventeen years away, I had completely forgotten about bean-sprouts chicken. My re-initiation into this spectacular dish was somewhat hard. I arrived late on a Friday evening after a week at a fancy hotel in Thailand, and my aunt and uncle took me to Ipoh’s most famous coffee-shop for bean-sprouts chicken. This shop – Lou Wong – has become an institution: it serves nothing but bean-sprouts chicken, and has done so for years. It’s also full every night; you have to queue unless you get there early. Now, what’s important to understand is that traditionally, the Chinese focus in restaurants has been on food and nothing else – not décor, certainly not service, least of all hygiene. There was a rule of thumb that the dirtier a restaurant, the better, because it showed it was popular. The result was that by the time we arrived at the Lou Wong Coffee Shop, a good fraction of town must already have stepped in. As had other creatures; in one corner, I was sure I spotted a cockroach on the wall. The table tops were so marked that I didn’t dare rest my elbows on them. Yet the cooking smelt heavenly, and I could see the chefs in front of me, chopping their chicken with cleavers and dunking handfuls of sprouts into boiling vats of water. Not being able to resist the food, I opted to put on my sunglasses. Sometimes, see no evil works a treat. Interestingly, there appears to be a connection between Ipoh’s limestone and its delicious bean-sprouts. I’m firmly of the opinion that Ipoh’s bean-sprouts are plumper and crunchier than those I’ve had anywhere else. And from the number of Malaysian blogs on this topic, I know I’m not alone! Now here’s the connection with limestone: the bean-sprouts are grown in a part of town where the underground water is rich in limestone. Once harvested, the bean-sprout seeds are apparently watered every five hours for five days until they’re judged ready (a fact I’ve gleaned from my Russian partner who’s mad about Ipoh food). Which brings us once again to limestone and Ipoh’s magnificent hills. I still gaze at them for hours whenever I’m there, the way I used to as a child. I watch the hills in their varied moods – in bright sunshine, after rain, also when partially covered by mist. I see how they change in the middle of raging thunderstorms, when they turn blue with the darkening skies. I know no other Malaysian town with this topology or range of temperament, where the same view looks different every day. I can hardly wait to see those hills again.